With the United Nations climate change conference about to kick off, Alberta Premier Rachel Notley is heading to Paris ready to sell her province's new carbon tax and emissions reduction plan. Will that plan remove some of the "drama" around the debate over oilsands development? Premier Rachel Notley argues Alberta's new plan to reduce greenhouse gas emissions could end up benefiting the oilsands industry. The province's plan will cap emissions from the oilsands, phase out the province's coal-fired power plants and impose a carbon tax to be paid by all consumers and businesses in the province. "If we can have a drama-free discussion about the economic merits of a pipeline going west or a pipeline going east, one where we're able to upgrade our product, get a better price for our product, and generate enough of a price to make upgrading more economically viable here in Canada, we are winning all across the board," Notley told host Chris Hall on CBC Radio's The House. The premier defended the decision not to include emissions reduction targets as part of the plan. "What we will find, is that our emissions continue to go down as many different programs that we will have put in place to stimulate emissions reduction take hold," Notley said. "Of course, plans evolve over time, but I think this is a very good first start." The premier is heading to Paris this weekend to participate in the United Nations climate change conference. Prime Minister Justin Trudeau and other premiers are also scheduled to attend. Notley said her message there will be simple. "I'm going to be delivering the message that Alberta, and through Alberta, oilsands producers and all Albertans are prepared to do our part on reducing greenhouse gas emissions for the benefit of everybody," she said. The premier will also make the case that she believes it's possible to be an energy producer and contribute to the fight against climate change. 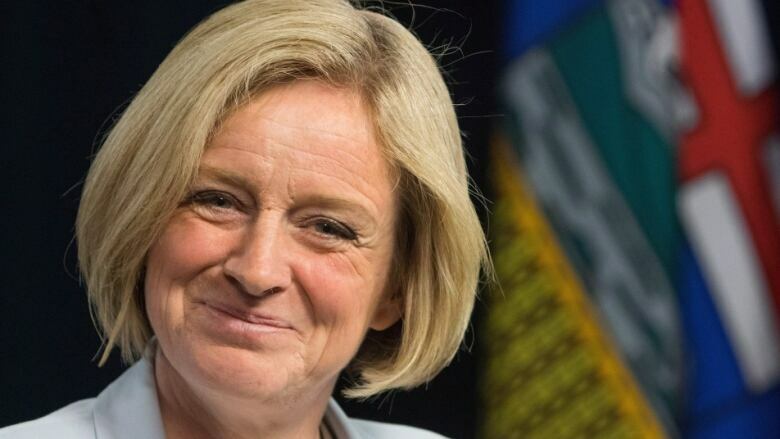 "My hope is that that message will be heard because we have taken steps that have vaulted Alberta from being behind the pack to quite frankly ahead of the pack in many cases," Notley said.